YOUR DIRTY WORK JUST GOT DONE. Meet SPX2500, the powerful compact pressure washer from SUN JOE. 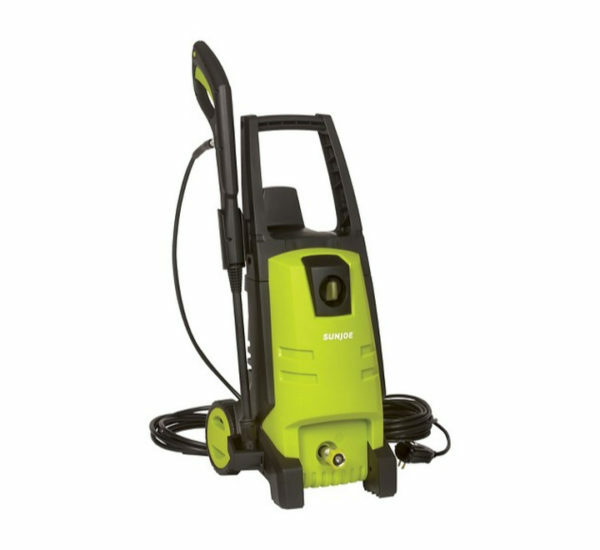 Packed with 13 Amps of pure cleaning power, SPX2500 delivers a might blast — up to 1885 pounds of pressure per square inch and 1.59 gallons per minute — to demolish every last bit of dirt and get really clean, really fast. Simply twist the adjustable nozzle to go from intense jet to gentle spray and watch Sun Joe make light work of mildew, grease, oil, tar, mud, rust and more! And you’ll always clean smarter, not harder with the SPX2500’s built-in Total Stop System designed to save energy and prolong pump life. Tackle your toughest cleaning tasks with ease and Go With Joe.